I can't say that I had the pleasure of having a lot o time to pick his brain, but from our short conversations I would say that Will Brennan is a humble guy with very eclectic tastes. I was a fan of his music from the first time I heard him and I still am. Newly signed to Electro House Musician Steven Aoki's label Dim Mak Records I think Will is setting himself up to be an international superstar. The 23-year old hip-hop artist out of West Palm Beach, Fl is set to re-release his breakout project "Prodigal Son" with additional remixes this year under Dim Mak Records. 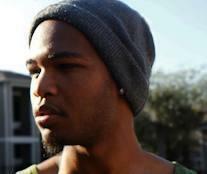 Stay tuned you will be hearing a lot from this guy very soon. And Now... The interview. 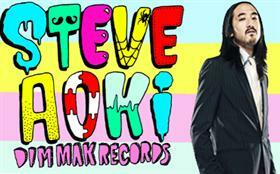 You are newly signed to Electro House Musician Steven Aoki's label Dim Mak Records how did that come about? Aoki was leaving a show in Gainesville and the promoter was playing my "Prodigal Son" CD in his car on the drive. After a few songs, he asked who the guy rapping was and if "he was signed". Three days later, I had a contract. Inspiration comes from everywhere. Sometimes it's in other people's music, mostly its just life. I'm heavily influenced by my surroundings so my sound reflects where I've been and what I'm doing at the time. I try to take in everything that's happening and hold on to what's good. What artists are at the top of your playlist currently? Right now I've been on an electronic kind of mode so it's been Baauer, Loudpvck, Shlohmo. On top of some hip-hop like Pusha T, T.I, and Young Roddy. If I could work with any artist, I'd go with Santigold. She has a global sound and her music sounds so free. If I could add Salam Remi in that mix, it would be a dream studio session. My first time hearing you was when you killed "Skateboard Wheels", What should the people look forward to from you in the future? I have a few projects on the way. One coming with DJ Burn One, another with WILLPower of Supahotbeats, and some single projects with some of the Dim Mak roster. We're staying pretty busy these days, lots of music to be made. What is something people don't know about Will Brennan? Most people don't know how many different scenes I'm a part of. I always joke about how I have a lot of fans but never too many in one place. The listeners are really spread out across the country and the world now. I'm getting a lot of international fans so that's been cool. When did you know hip-hop was what you wanted to do? I knew hip-hop was something I wanted to do since I was about 15, but I wasn't making serious strides until I was about 21. It takes time to find yourself and build your sound to the point where you're providing something original and with quality. What do you think is the current state of hip-hop music? Music in general is in a great state. The barriers to entry have pretty much collapsed so everyone is doing it. I swear every person that follows me on the twitter is a rapper/singer/producer, even the ones you'd least expect. That results in more competition and ideas being exchanged which is good for the game. What is your background (ethnicity, birthplace, etc.)? I'm black, African-American. Down the line I'm sure there are some other elements mixed in there somewhere but that applies to most black people in America. What makes Will Brennan different from every other artist out now? I think my ability to draw like-minded creatives has separated me from most of the rappers in my home state. I'm really part of a larger team with different specialties who all work to make our finished projects better. Everyone comments on how much better my music gets from project to project and that has to be a reflection of the long hours we spend working to better understand where we're going. Constant improvement is a must on this crew. and involving different personalities and styles gives the sound a multidimensional quality.